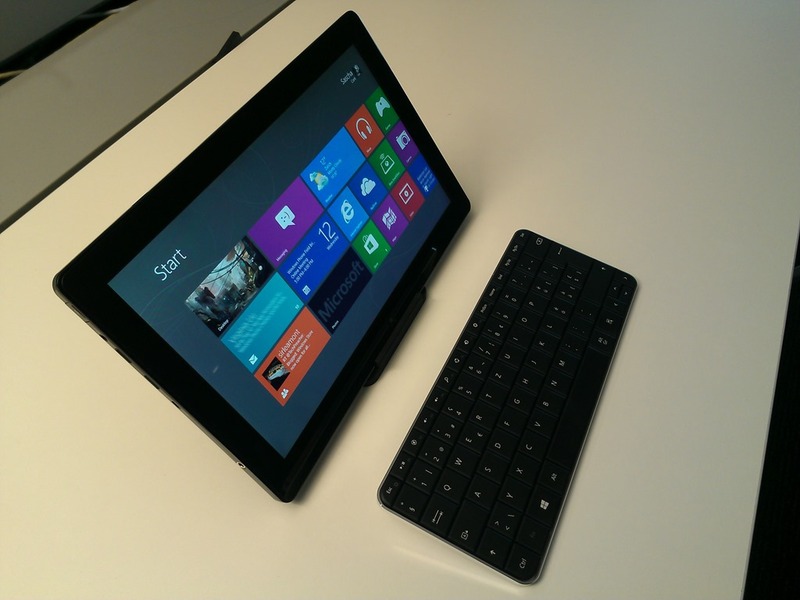 Just in: The Microsoft Wedge Mobile Keyboard. 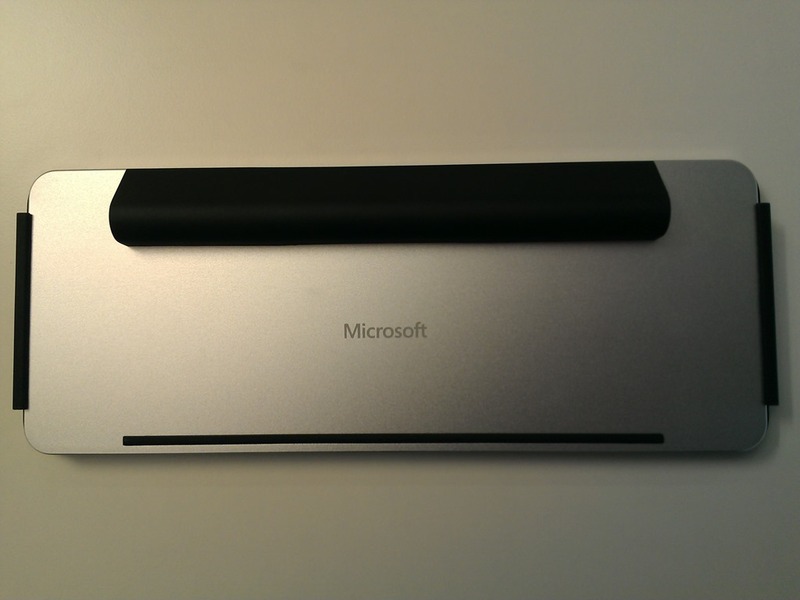 The Microsoft Wedge Mobile Keyboard just landed on my desk today. And even though it’s very small, it’s highly usable. 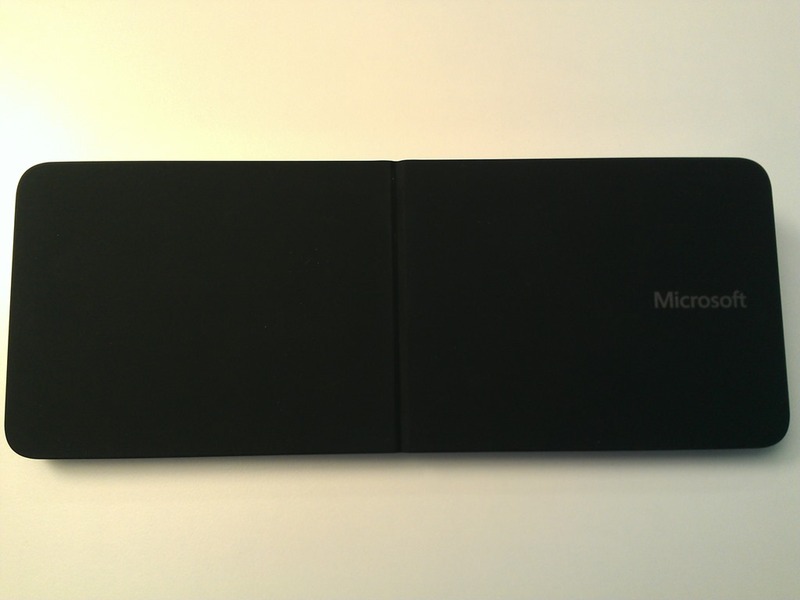 It comes with a rubbery cover that can be used to make it “stick” to a slate’s screen for transportation. 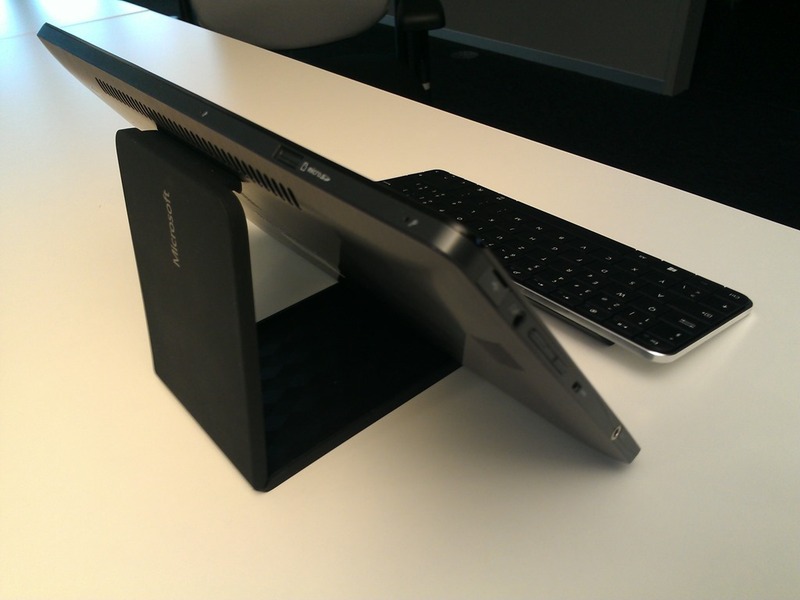 If removed, the cover doubles as a stand for tablets/slates. It does a great job at holding my relatively heavy, Intel Core i5 based Samsung Series 7 slate as the cover is heavy and the hinge in the middle is rather strong. 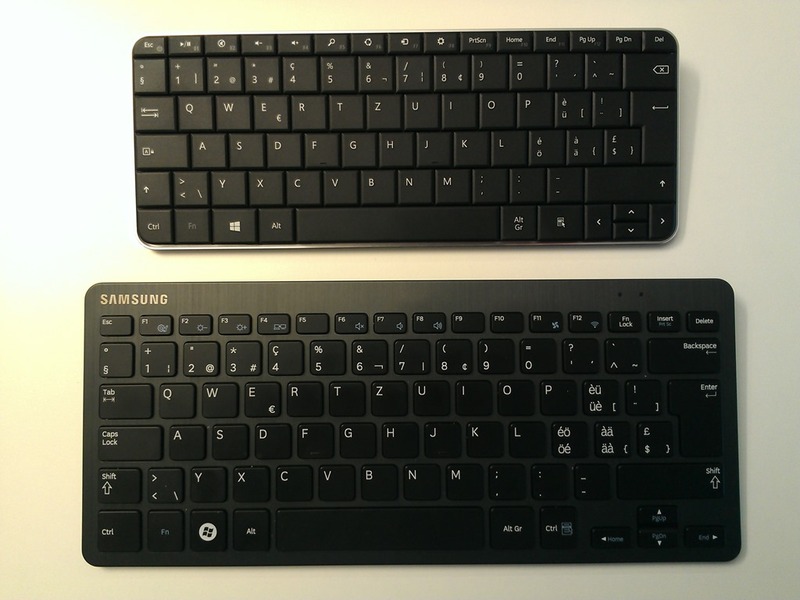 The keyboard looks very small, but compared to the Samsung’s BT keyboard (and most keyboards as a matter of fact), the keys themselves aren’t smaller – but there is no extra room between or around the keys themselves. After some typing I can say I got used quickly and had no noticeable typing errors. Also, the full sized space bar and correct position of the special keys makes using it a no brainer. Again, the keyboard too is quite heavy and sits on the desk very stable. The only thing I found a bit tricky is fitting the cover back on the keyboard as it takes some precise bending and finger-work to get it done. 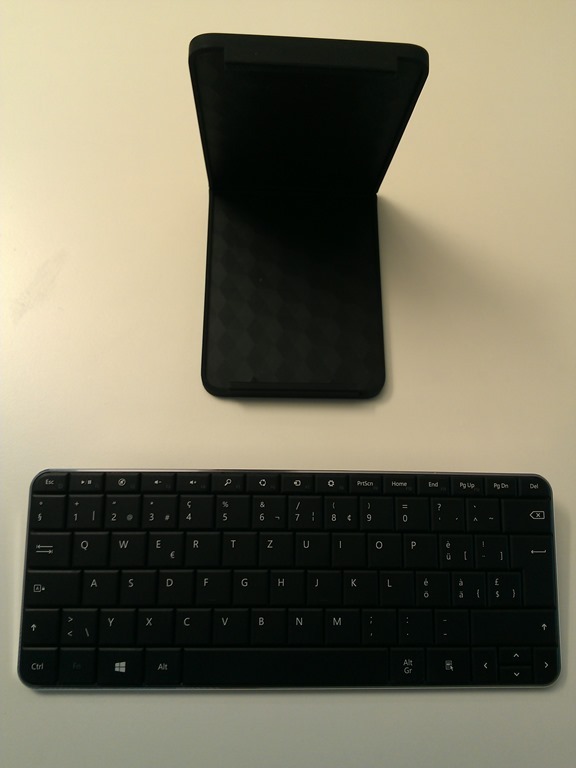 Apart from that: A very nice mobile keyboard! At most online retailers. Digitec.ch for example here in CH.